Help yourself to some awesome free resources that may very well be game-changers for your company's or site's SEO efforts. 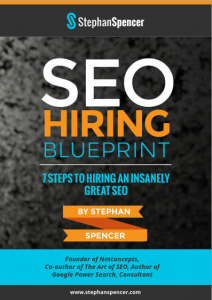 Learn what to look for in a new SEO hire, how to review their work, and what SEO tools are essentials to compete. This is super valuable content for the siteowner that is looking to improve rankings, traffic, and conversions. Find it hard to find a truly expert SEO consultant when you know little about SEO yourself? 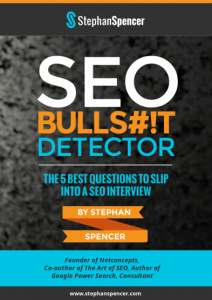 Here are Stephan's top tips and tricks to measure whether an SEO consultants claims are worth their salt. Save your company thousands in wasted consultant fees and lost leads due to bad SEO advice or implementation. 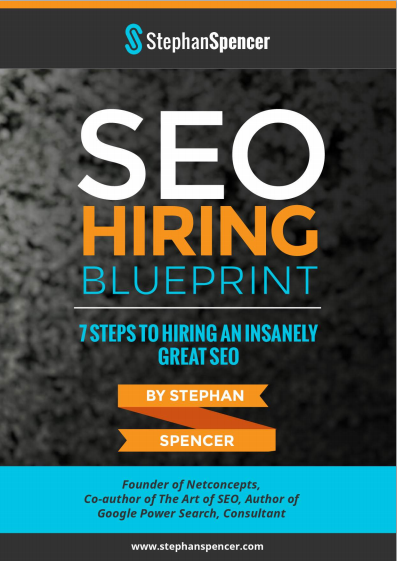 Start Hiring SEOs that Know Their Stuff! Thinking that your SEO contractor or in-house SEO team is making some questionable choices? 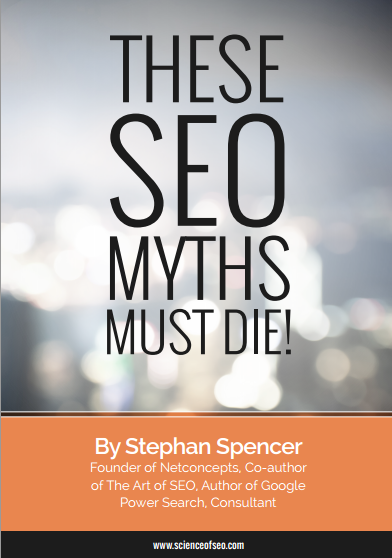 Well, if they mention any of these outdated or false SEO myths, time for them to brush up on their knowledge. Learn How to Detect Utter SEO BS! 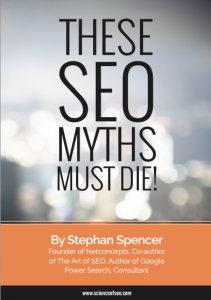 These SEO Myths Must Die! Don't waste time and funds on these completely useless SEO strategies. Stephan cuts to the core of what really matters in SEO, and what you should focus your energy on for truly great SEO results that convert. Separate SEO Fact from Fiction! 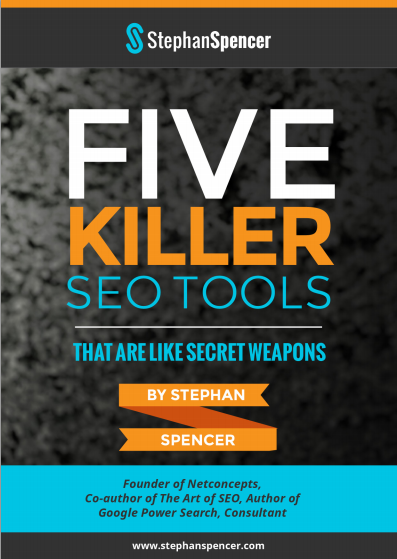 You aren't a real SEO if you aren't using tools to measure, track, report, and implement. However, if you don't have the budget to get the full suite of the SEO expert's toolkit, here are 5 essentials you need to consider. 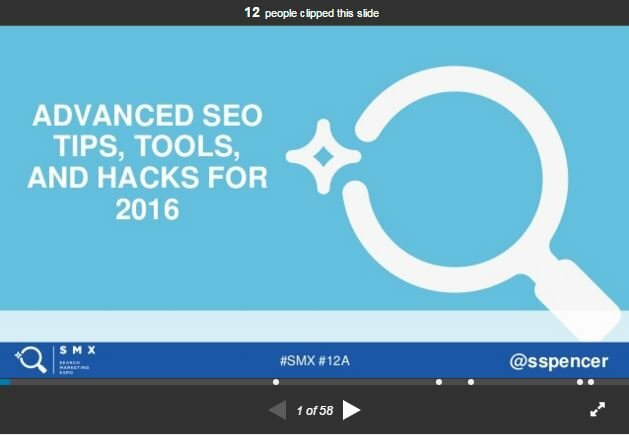 Learn the Essential Tools for SEO Success!